Mark Zokle is an American businessman, motivational speaker, sales trainer, and marketing expert. He was appointed as National Sales Director of BCI Acrylics, Inc. in 2011. Mark Zokle has managed numerous sales teams in the home improvement industry over the last twenty years. He is known for his ability to detect talent in new sales staff and has produced hundreds of highly successful sales professionals in his career. Mark Zokle grew up in Ohio and noticed early on that he was more confident than his peers. He was often called upon to present to his classmates and was a popular high school student. As a child, Mark Zokle was eager to learn and made excellent grades. After graduation, Mark Zokle worked much like his peers. What set him apart was the ease at which he interacted with people twice his age. He was soon approached by leaders at the manufacturing company where he worked about going into sales. Mark Zokle claims to have not given much thought to his career at this time but decided he was young and needed to take the opportunity. After having much early success, Mark Zokle refined his skills and found that his main interest was in home improvement. Today Mark Zokle spends much of his time traveling for work but is happily married with three children. 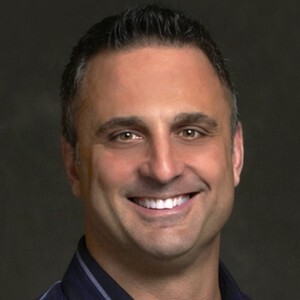 Mark Zokle has trained thousands of independent sales agents during his career. He is known in the industry as a proven closer and has been asked to speak at dozens of seminars across the country. One of his most notable appearances was at the Accelerate 2014 Telesummit series. This three day event presented by TheWealthyContractorOnline.com headlined Mark Zokle as a keynote speaker. Zokle’s presentation was recorded and continues to be a popular digital media learning tool for small business owners. Mark Zokle began his career in sales shortly after high school. By 1993, he earned a commissioned sales job at a manufacturing company. Within two years, he had outsold many of his more experienced co-workers and was offered the position of Director of Sales for the company’s East Coast division. It was during this time that Mark Zokle began to realize his talents for teaching. By year three, Mark Zokle was responsible for training a cadre of new marketing professionals that eventually grew the company by over $63 million in annual sales. Before his 25th birthday, Mark Zokle was regularly holding sales training programs. He has since been tasked with creating training materials for dozens of marketing courses. His areas of expertise are cutting through clutter, implementing lean operations, and teaching companies how to work more efficiently. Mark Zokle is noted for his teaching methods, which have been described as a holistic approach to sales. He stresses a balance between home and work and encourages a healthy lifestyle. By age 35, Mark Zokle was an entrepreneur, serving a national clientele. His consulting services were geared toward small to midsized companies seeking to eliminate redundancy and miscommunication across all departments. In 2011, at age 46, Mark Zokle was recruited by Illinois-based BCI Acrylics, Inc. His reputation earned him the role of National Sale Director. In this capacity, Mark Zokle is responsible for researching market trends to ensure the company remains current, identifying emerging trends, and seeking qualified representatives for the company’s brands, including Luxury Bath and Bath Planet. Mark Zokle is experienced in all aspects of sales and believes that it takes a combination of modern technology and old fashioned work ethic to be successful in such a competitive role. Working closely with C-level staff at BCI, Mark Zokle creates and implements effective marketing strategies and advertising campaigns. He has greatly added to the success of BCI over the last five years by evaluating and refining the company’s marketing and sales strategies. Zokle has identified numerous growth opportunities which have led to multiple new dealers for all BCI brands. Mark Zokle is responsible for leading and guiding BCI’s sales teams. He is a goal-oriented professional who insists upon regular communication between himself and his regional directors. Mark Zokle is lauded as an effective manager who leads by example and provides continuous and relevant training. Mark Zokle maintains an active and hand-on approach in the sales department of BCI. In addition to sales, Mark Zokle assists company marketing executives in developing materials to convey the benefits of BCI’s bath and shower solutions, accessibility products, and commercial solutions products. BCI installs acrylic bathroom systems in the US and Canada. Mark Zokle is responsible for establishing relationships with clients throughout these countries. Mark Zokle works with franchise owners to ensure they have the right tools to make their Bath Planet or other BCI-affiliated brand successful. He has helped BCI target and capture a customer base from the hospitality, affordable housing, assisted living, multifamily housing, hospital, and student housing sectors. Through BCI, Mark Zokle has forged relationships with numerous military facilities to assure clean, comfortable, and long-lasting shower units for soldiers both in military housing and on post. Recently, Mark Zokle and BCI began offering bath and shower systems to major cruise lines. Under the guidance of Mark Zokle, BCI has been honored to contract with some of the biggest hotel brands in the United States, including Wyndham Hotel & Resorts, Country Inn & Suites, Holiday Inn Express, Hyatt, Best Western, and Hilton.